Ah, yes, O-rings. So simple, yet so essential. There’s one more way to identify O-rings: the AS568 “dash number”. O-ring in the size 1-1/16 x 13/16 x 1/8 = ”-211″. O-ring in the size 1-½ x 1-¼ x 1/8 = “-218”. And remember: the fractional size values of O-rings is NOT the actual, exact size … Keeps things interesting that way. Fun fact: the U.S. patent for O-rings was issued in 1932. And in World War 2, the U.S. government declared O-rings critical to the war effort, and commandeered the patent so many suppliers could make them. 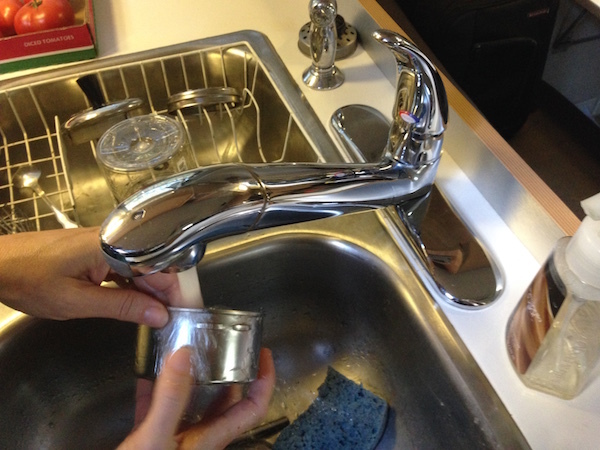 Oops… Typo: the patent was issued in 1937, not 1932.
they will send u small tube for faucet…. maybe ask for 2. On their website Moen recommends silicone grease, so if you aren’t in a position to mail order Dow Corning #111 (“Molykote”) an ordinary tub of silicone grease from the hardware store will work perfectly well too. “Super Lube” brand silicone grease is also a good choice.